CRYSTAL STRUCTURE OF HIV-1 L76V PROTEASE IN COMPLEX WITH THE PROTEASE INHIBITOR DARUNAVIR. Authors: Schiffer, C.A., Nalivaika, E.A., Bandaranayake, R.M. Cite: Crystal Structure of HIV-1 L76V Protease in Complex with the Protease Inhibitor Darunavir. HOW DOES A SYMMETRIC DIMER RECOGNIZE AN ASYMMETRIC SUBSTRATE? A SUBSTRATE COMPLEX OF HIV-1 PROTEASE. 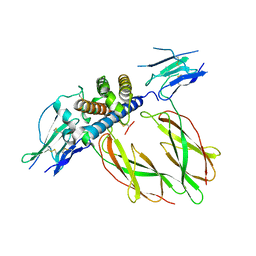 Cite: How does a symmetric dimer recognize an asymmetric substrate? A substrate complex of HIV-1 protease. Cite: Lack of synergy for inhibitors targeting a multi-drug-resistant HIV-1 protease. 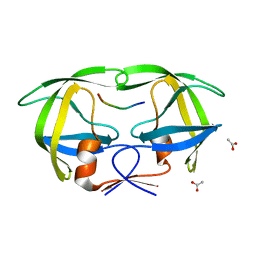 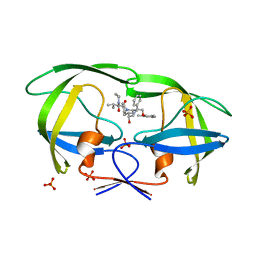 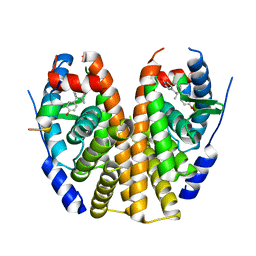 Cite: Substrate shape determines specificity of recognition for HIV-1 protease: analysis of crystal structures of six substrate complexes. 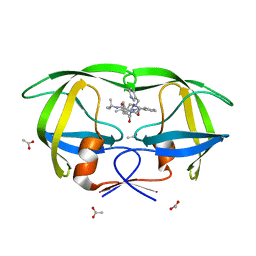 Authors: Schiffer, C.A., Nalam, M.N.L. 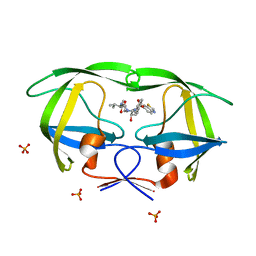 Cite: Design of Mutation-resistant HIV Protease Inhibitors with the Substrate Envelope Hypothesis. 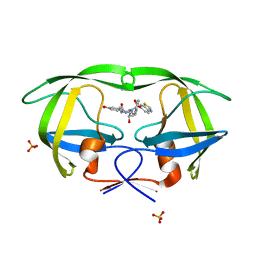 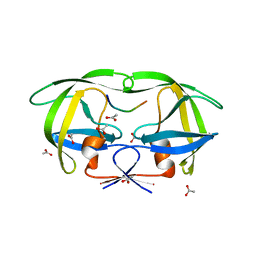 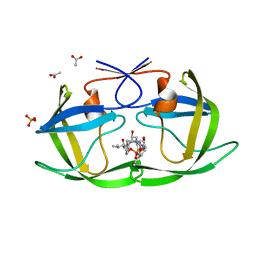 Cite: Crystal structure of lysine sulfonamide inhibitor reveals the displacement of the conserved flap water molecule in human immunodeficiency virus type 1 protease. Cite: Design and Synthesis of HIV-1 Protease Inhibitors Incorporating Oxazolidinones as P2/P2' Ligands in Pseudosymmetric Dipeptide Isosteres. 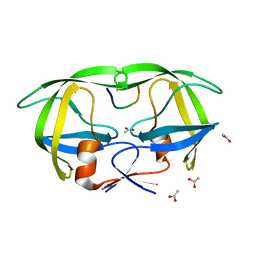 Cite: HIV-1 protease inhibitors from inverse design in the substrate envelope exhibit subnanomolar binding to drug-resistant variants.